Agents of S.H.I.E.L.D. S1Ep7 ‘The Hub’ Review! Agents of S.H.I.E.L.D. is back with the episode ‘The Hub’. I must say that the shows hype is starting to diminish just when its quality is picking up. The previous two episode were just fantastic as two high quality standalone stories. 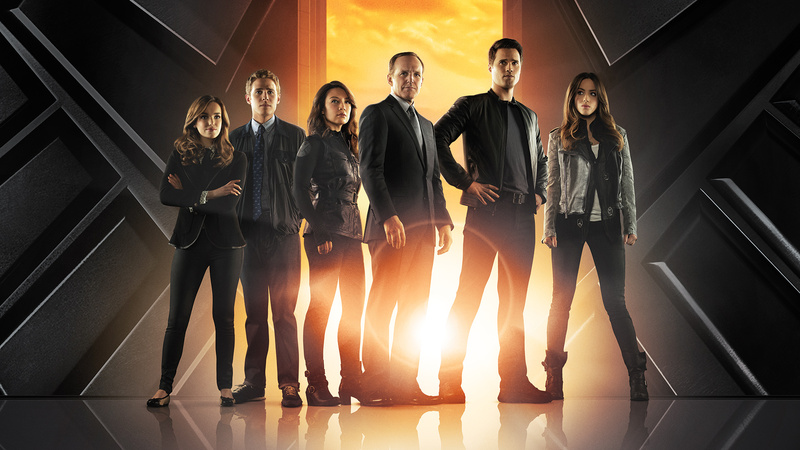 However, fans were left irritated with the lack of knowledge about the wider universe of Agents of S.H.I.E.L.D. This episode corrects some of that by introducing the Hub, which is essentially S.H.I.E.L.D. headquarters. In ‘The Hub’ Fitz and Ward are forced to team up for a solo mission behind enemy lines in the Caucasus as they need to disarm one of those Agents of S.H.I.E.L.D. impossible weapons. The motive for their trip is nothing compared to the trip itself, with Fitz trying to prove that he is Ward’s equal and succeeding in every way that Ward would never think off. Meanwhile the rest of the gang stays behind at the hub waiting for the mission to be completed. 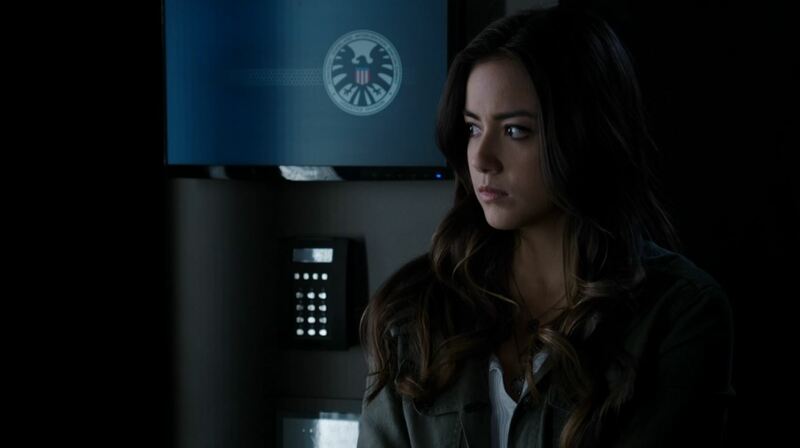 The atmosphere is tense as Skye is excluded from all sensitive areas by her armband while Coulson faces more questions about what happened in Tahiti. The situation is exacerbated by Simmons continuing worries over Fitz’s safety. 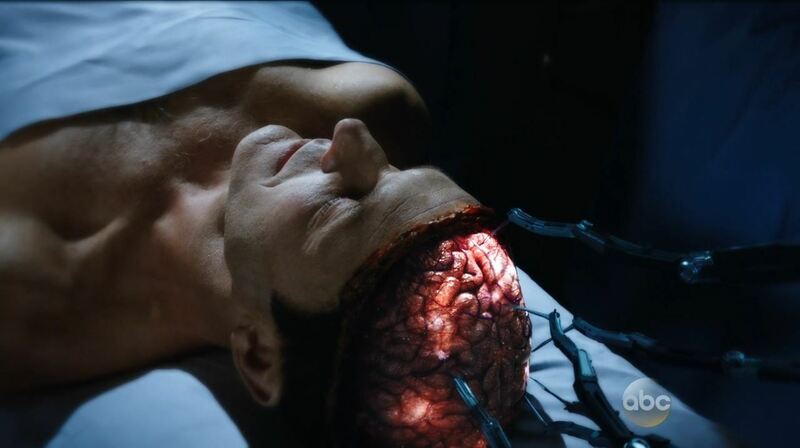 After Coulson evades Skye’s request to see her parent’s file she manages to use Simmons to gain access to the secret archive by veining worry for Fitz. 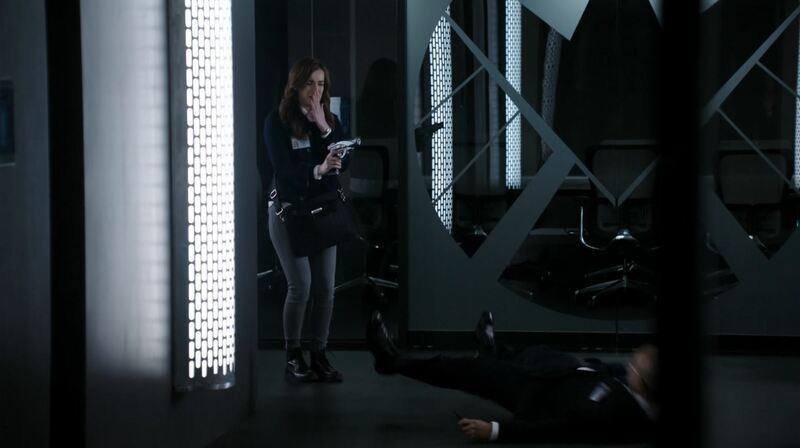 Simmons is forced to stun a fellow S.H.I.E.L.D. agent when she is discovered. Skye manages to uncover that for Fitz and Ward no extraction plan was made. They have essentially been sent on a suicide mission. She also recovers a redacted file on her parents. Coulson is furious about the things that Simmons and Skye have been up to. However, Skye manages to plant a seed of doubt about S.H.I.E.L.D.’s honesty when she reminds him of what was supposed to have happened in Tahiti. 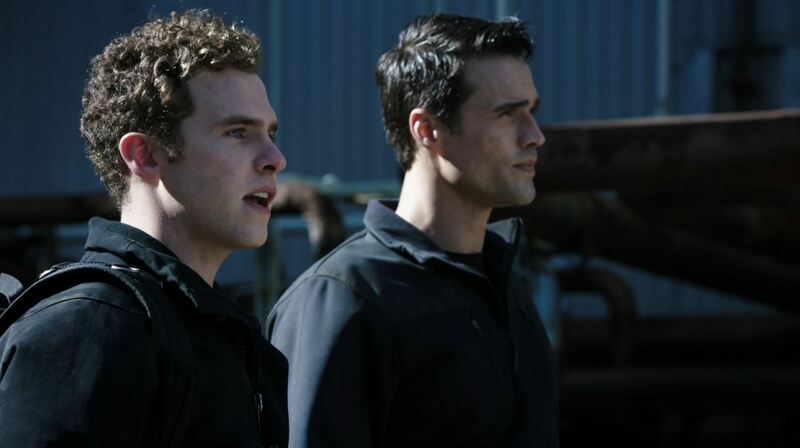 Meanwhile Ward and Fitz are still trekking to the super secretive lair of the separatists where the doomsday device is held. They have to dodge bullets from drunk Russians by allowing Fitz to repair their electrical breaker box upside down. Later on they dodge dog patrols when Ward throws away Fitz’s sandwich made by Simmons. Fitz seems to make a favorable impression on Ward when he doesn’t shirk from his duty as he uncovers it is a suicide mission. Just as they are about to be arrested after disabling the weapon Coulson and May come to the rescue with the S.H.I.E.L.D. Globemaster. In a final scene Coulson reveals to Melinda May what really happened to Skye’s parents. The viewer is left to guess. The banter between Fitz and Ward makes up perfectly for the otherwise limited interaction between the characters thus far. That Fitz was for once not a Globemaster monkey also changes his character dynamics. This episode and previous one mark a considerable change for Fitz and Simmons. 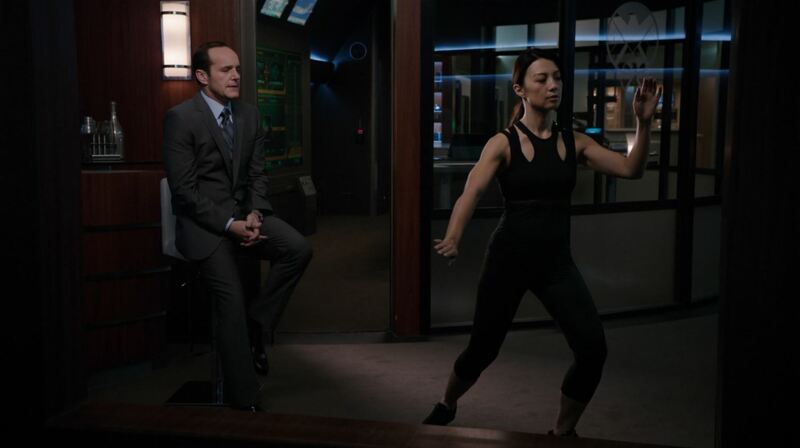 Despite Ming-Na Wen having a smaller role in this episode the scene between her and Coulson as he explains the difficulties of running a team is acting perfection as she doesn’t even utter a word but still manages to convey emotions perfectly. For Clark Gregg’s agent Coulson the question of what happened in Tahiti is starting to become an obsession. When Coulson is kept from seeing his file a showdown with S.H.I.E.L.D. is imminent. Now we can only speculate what he truly is and how he is going to find out. For Skye this episode marks a turning point as both Coulson and May find out what happened to her parents and have to admit they understand how she became the person she is today. As both are dealing with personal issues it opens up the possibility for Skye to remedy her past mistakes with them. The Hub sends Agents of S.H.I.E.L.D. into the tailspin that fans have long been waiting for. It doesn’t disappoint though I am at times reminded too often of Nikita. Is that bad thing? Score; 8.8 / 10. Great episode though perhaps a bit too much banter between the characters. Next story Revolution S2Ep8 ‘Come Blow Your Horn’ Review! Previous story Person of Interest S3Ep8 ‘Endgame’ Review!